If you are thinking of buying or selling a home, how can you be sure it is physically fit? How do you connect all the dots to get to the closing? "Inspect What You Expect" is the only way to be comfortable with a decision to buy or not to buy! International speaker, Zig Ziglar used this comment at a motivational seminar I attended over 29 years ago and I still apply it to many aspects of life. He was talking about children and how parents must inspect where the children are when they say they are going somewhere just to keep them accountable. So if you expect your kids to be somewhere check it out and make sure it is the way they said it was going to be. Taking the concept "Inspect what you expect" and apply it to the biggest investment most people make in life with either buying or selling a home for protection. Buyers: ALWAYS obtain an inspection before completing the purchase of a home. Sellers: Prepare for your sale by taking the "offensive approach" and repairing things in advance that might come up on a buyers inspection. Please join us on Cosmic Cow Pie blogtalkradio Thursday, May 3, 2012 9:00 a.m. PDT to meet and discuss inspections with Aubrey Kahn. You can call into the show at 347-994-1902 or join us online and ask questions in the chat room. Set a reminder here or listen to the archives anytime after the show. Born and raised in South Africa. Spent 17 years in hotel, catering and restaurant management. Owned insurance brokerage for 9 years. Owner of Central Florida's premier home inspection company, Firm Foundation Home Inspections where we don't just inspect we ensure your peace of mind. Member of Central Florida Christian Chamber of Commerce. Member of Orlando Predators Arena Football Team Business Club. Firm Foundation Home Inspections Inc. is a family owned and operated business. Firm Foundation is based in Kissimmee, and this allows them to cover the whole of the Central Florida with relative ease. Firm Foundation Home Inspections will provide you with valuable knowledge about a home's major components and systems by conducting a thorough visual examination and assessment to detect defects and deficiencies so you can make a more informed decision. 4 point inspections for insurance and mortgage companies. Comprehensive home inspections include: visual evaluation of nearly 400 different items that effect the safety, condition and value of a home. Exterior evaluation includes: Roof, Chimney, Flashing, Valleys Siding, Trim, Windows, Storm windows Landscaping, Grading, Drainage Gutters, Downspouts Driveways, Patios, Decks, Porches HVAC systems. Aubrey Kahn offers 3 VALUABLE benefits as a member of InterNACHI (International Association of Certified Home Inspectors) that all buyers, sellers and agents should know about! Indemnify agent by registering and if there is ever a law suit where there is a loss the agent is insured up to $10,000. Honesty Bond to protect the seller from any loss at the inspection. 100% Warranty on inspected items for the buyer. Please join us and learn all about the important benefits of working with an inspector who is a member of InterNACHI the largest inspection association in the world and how it can help the seller, buyer and real estate agent. Hope to see you Thursday May, 3, 2012 9:00 a.m. PDT in the Cosmic Cow Pie blogtalkradio chat room or call in 347-994-1902 to meet Aubrey Kahn with Firm Foundation Home Inspection Inc. where you will learn how to Inspect What You Expect! It does not matter what state you are in or even what country you are purchasing real estate, the principles are the same with inspections. An inspection is a must to make sure you know the inside and outside condition of the home. Buying or selling a home? Inspect what you Expect! 4 new ebooks for Pre-School, Elementary School, Middle School and High School kids. *Bundles include free Cosmic Shift Happens and/or Cosmic Cow Pie ebooks for FREE! 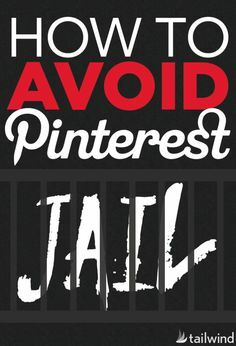 How to Avoid Pinterest Jail. Having your account frozen, or being put in “Pinterest jail”, can happen to anyone if you’re not careful. 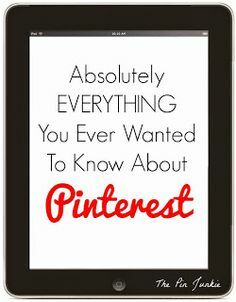 In this post, we go through the most common reasons people are locked out of their account, and how you can avoid being thrown in Pinterest jail.